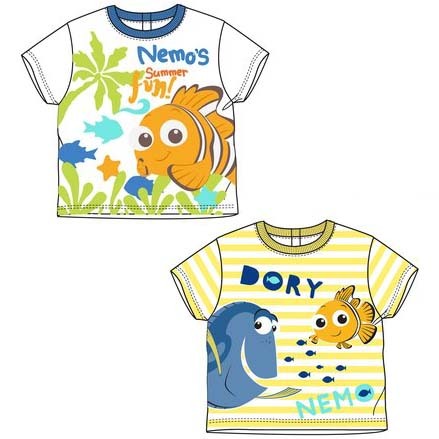 Let the adventures begin in this bold cotton T-shirt which features an adorable yet fun Nemo & Dory character print on front. Quality made to last! Available in White or Yellow, take your pick! Nemo & Dory character print on front.